Sheila Nevins book ” You Don’t Look Your Age and Other Fairy Tales” has just come out in paperback and it has two new glorious chapters and even more “Sheila” to love. Now you don’t have any excuse for not reading and laughing and growing along with her, she is a fantastic storyteller and interview. 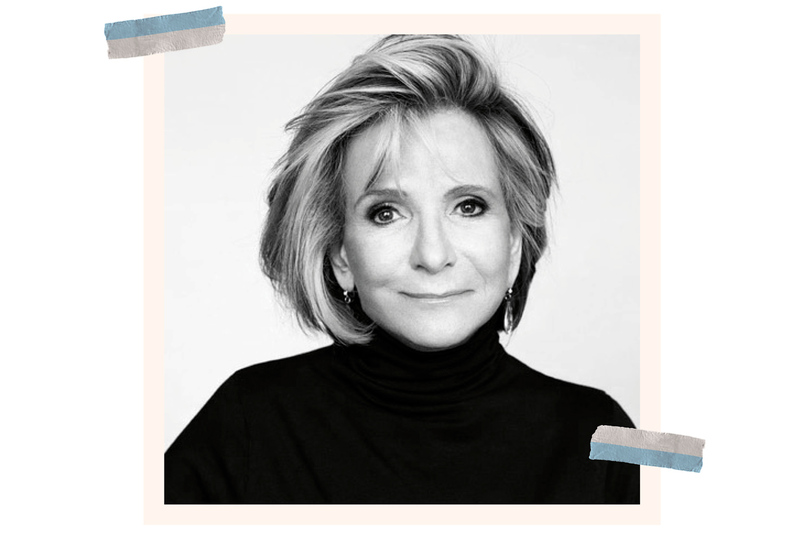 Up until recently, Sheila Nevins ran the documentary division of HBO, a position she held for 32 years. During her tenure, she oversaw more than 1,200 docs and gilded HBO’s crown with 32 Emmys and 26 Academy Awards. She also holds the record for most individual Emmy’s and arguably birthed the reality television genre with “Taxicab Confessions.” Nevins was the queen of all she surveyed in the world of truth-telling on film, so it’s not surprising that she now has a few choice words for her former male colleagues, as well as some candid thoughts on aging, being a workaholic and reconnecting with an old boyfriend. You were certainly a groundbreaker. Can you share some wisdom about being a woman of a certain age in the television business? It’s very odd to be invisible. HBO was my home for a total of 38 years, and I was lucky because as the bosses were changing, I was becoming aware that I was doing a very good job, but I was also being left behind, interrupted and simply not asked to join. But you were always producing such great stuff. It didn’t matter. My experience is that men are just not comfortable with an older woman in the room. The older woman tends to talk back more. It was discomforting for them because I had confidence in myself. I disagreed. In other words, I became trouble. So how did you become this incredibly confident woman? Where did you begin? I was raised in NY and went to good schools: Barnard, and then I got an MFA in directing from the Yale School of Drama. My first career was at CBS–I was a researcher at “60 Minutes” and then an associate producer on a show called “Who’s Who.” They wanted me to go on camera, but I just didn’t want to do it. A girlfriend told me about HBO. What was cable anyway? I was raised without a television. Of all the amazing projects you’ve worked on, do you have a favorite? Not really. It’s usually whatever I’m currently working on. You know, now that I’m unemployed, what people are most interested in is my history. I didn’t even realize that I had a history. Then I wrote a book. I loved your book. What motivated you to write it? A friend, Joni Evans, was starting a website called WOW OH WOW, and asked me to contribute. I found it very easy to write stories. If a word doesn’t work, you just replace it. With a documentary, you bleed with every cut. I didn’t get paid, but I was in good company: Whoopi Goldberg, Candace Bergen, Lily Tomlin were all contributing. From that, I learned that I could write a book. It was actually easy. How are you finding your post-employment bearings? It looks like you’re pretty well set up here. Yes, I have six shows I’m finishing up for HBO. Well, I was doing forty-something—many were acquisitions and some children’s programming, too. You’ve been a great collaborator. How do you like working by yourself? It’s very hard, but you find out who matters. You find out who likes you for you. The ones who stick around really matter to you and that is compensatory. I never did anything but work and raise a child and tried to be as good a wife to my second husband (the good one of 42 years) as I was able. I like to buy things because I couldn’t have them when I was little. I love to travel. I like Cuba the best. I’ve been there twice. It was fantastic. Fascinating. Nicest people and they have nothing. They are falling apart at the seams. Well, when a workaholic comes to standstill, it’s a difficult experience but I’m kind of enjoying it. It’s like having binoculars. I can see things I could never see before. I see friends, I see enemies. I see dishonesty that I thought was truth. I had ADD and tunnel vision–both very good qualities in an editing room but perhaps not so good when it comes to people. When you leave somewhere where all your worth is measured, you feel worthless. I don’t know if that’s true. You’re incredibly successful; you’re just looking at things differently. I know from my own experience that it takes a little time. By the way, how old are you? How old do you think I am. You look good however old you are. I was going to say early 70’s. 79. I don’t care. I outlived everybody. I don’t know what my age is supposed to feel like because I’ve never been this age before! People always say, “You don’t look it, you don’t act it, you walk, you talk.” How do I know? My mother never made it to this age, my father never made it to this age. I’m prepared to die. I understand that. I’m not unrealistic about age. I mean, my joints are stiff, but I still run and walk and go to class. I don’t think I’m a miracle. I think I’m just alive. How old are you? I lied for about 10 years and then my doctor said, “Why did you lie?” And I said, “About what?” Because I didn’t remember that I had, and I looked at the medical form and it said 43! “That’s moronic,” he said, I have to keep re-filing your insurance claims!” Ever since then, that was about 15 years ago, I stopped lying. It’s a terrible thing, age prejudice. Two last questions for you: 1) If you had a superpower, what would it be? I’m evil. I’d make four people disappear. It’s a limited power. Like a genie with three wishes. I’d like to keep the power forever in case I find the fifth. If you had a warning label what would it say?